Today's post will be short and to the point. And what's the point? Well, just to do a quick shout out to some true friends. There is no order to this listing - like any good homeschool mom knows, NEVER play favorites!! Janette - hard-working, diligent in prayer, shoots it to ya straight - one amazing lady - she's one of the best and I can call her my friend! Kimberly - loyal, loyal, loyal and always incredibly supportive - one who makes me stronger as a homeschooling mother - and one who openly loves my kiddos & let's me love her kiddos too! 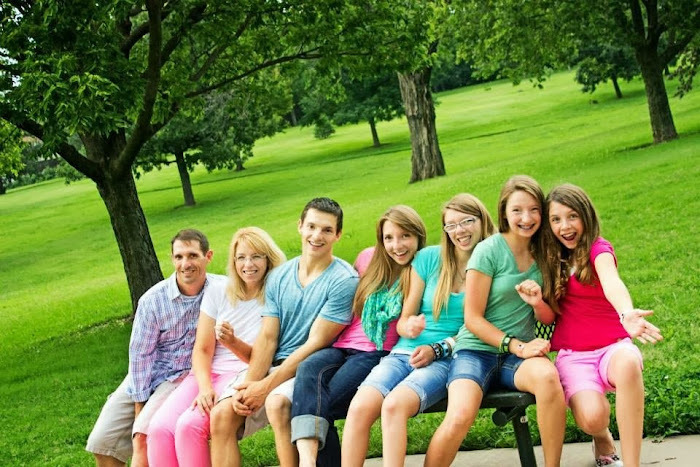 Jeannie - never ceases to make me feel great about my kids & is able to push me to be better w/o being pushy in the least! A friend for life. Miriam - will lend you a hand at a moment's notice & makes everyone's day a whole lot brighter! Also the mother of 2 really wonderful tykes - she's awesome! So, it's a wonderful Sunday afternoon. We have had a great day at church, enjoyed celebrating Palm Sunday, enjoyed fun and fellowship with church family, and plan to relax this evening. But alas, it is dinner time. Okay, in our house, it is past dinner time! And here I sit, typing away, no where near the kitchen... So, does this make me a bad wife and mother? I know that I will spend a good part of the evening working on next week's school plans. I am certain I will get up early in the morning and make my husband's lunch, do some laundry and maybe some dishes, after spending time with the Lord, and start our Monday morning strong. Tomorrow I will know what we will have for dinner before we have lunch. The rest of the week will follow suit. But today, I've just been enjoying life with my family so much that I haven't planned dinner. And since I have failed to plan, I have planned to fail. Wow, the weather outside just keeps on getting better and better - albeit a little bit at a time! In the afternoon, when the school day is done, my kids have been playing outside again - and they haven't come in with blue lips and red noses! Spring weather...I just love it. So, spring has finally sprung - does that mean it's time to put away the books and make a break for summer? Does that mean we have to keep plugging along, missing the chance to enjoy the wonderful spring weather (which will soon enough turn into long, hot summer days)? Well, yes...and yes. Yup, we should put away SOME of the school books and spend some time outdoors. Take a field trip, walk to the library, have a picnic lunch in the back yard, plant some flowers or raise butterflies. If you homeschool, you have probably heard of The Old Schoolhouse Magazine. Great publication - I truly enjoy reading and re-reading every issue (I don't throw them away; I categorize them by season for future reference). And I'm not saying I love their magazine just because my Bible study is available for purchase at their online store. 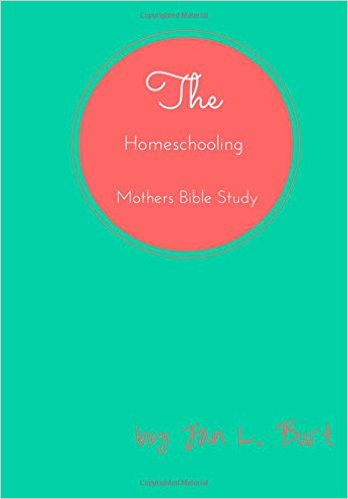 I loved TOS well before the Lord ever laid it on my heart to write a Bible study for homeschooling mothers. 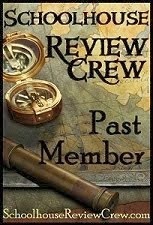 So, if you haven't read an issue, it's time to check them out at www.thehomeschoolmagazine.com. You won't be sorry! I haven't been feeling too well lately. I'm not exactly sure what's up, but I feel a bit "off" - perhaps more than a bit off, maybe a whole lot off! - which may mean something serious or may mean nothing serious. You see, I have hypothyroidism and sometimes an adjustment simply needs to be made in my dosage - other times, I may need more than just a simple adjustment. Well, it's been a long time since I've posted. I suppose that reveals just how busy things have been around here lately! That's not surprising news to those of you who homeschool. The January/February/March stretch can make or break a homeschool year, academically speaking. We tend to use this time during the cold months when we spend more time indoors working hard to "get ahead" in our school work. Then, hopefully!, when warmer weather arrives, we'll be able to get outside and enjoy it! I'm looking forward to taking a few field trips this spring, getting back to my walking routine, and having fewer school subjects to finish each day.